Kendrick Lamar’s 2012 album, Good Kid, M.A.A.D City, received rave reviews and was even said to have brought West Coast hip hop, a sub-genre of hip-hop comprised of rappers from the West Coast, back to life. His 2017 album, Damn, had amazing reviews, too, yet the genre is listed as simply ‘hip-hop’ and not ‘West Coast hip-hop’. Another sub-genre for hip-hop, conscious rap, is listed. Conscious rap is hip-hop that challenges social norms (such as economical, political, philosophical, etc.) or comments on current societal issues. Establishing whether or not a rhetorical artifact fits into a genre is referred to as generic participation. 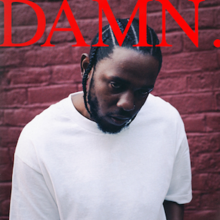 It is evident after analyzing the album that Damn is in the genre of conscious rap. Lamar’s album is focused around the theme of “wickedness vs weakness.” In the song,“HUMBLE”, Lamar’s verses flex his wealth, fame, and success, while he raps “be humble” to himself in the hook. While he admits that he is talking to himself in the hook, there have been rumors that Lamar was also commenting on other rappers in the game who had lost their humble attitude. “ELEMENT” attacks other rappers as Lamar brags on his ability to make anything a hit. He takes a firm position his competition, such as Drake and Big Sean, saying that he can make the same songs they do – but he’ll make them better. He comments on the fakeness of the music industry, and how rappers today do not seem to love the game as much as him. In “DNA,” Lamar brags that his DNA is better than all of his competitors, pointing out his success and wealth. He goes into a bit of detail laying out the high and low points of his life that he believes his DNA has attributed to, yet he recognizes that his DNA has also held him back at times. “FEEL” begins with the hook, “Ain’t nobody praying for me,” and goes into the first verse where Lamar points out what he finds fake in today’s society. The second verse begins to brag more on his successes, with lines like, “I am legend, I feel like all of y’all is peasants.” Lamar is talking about today’s world where everyone is trying to get ahead of the next person instead of cheering anyone else on. WordPress Theme Rhetorical Criticism by Savannah Dyer Copyright © 2019.